I can't get enough of hellebores. 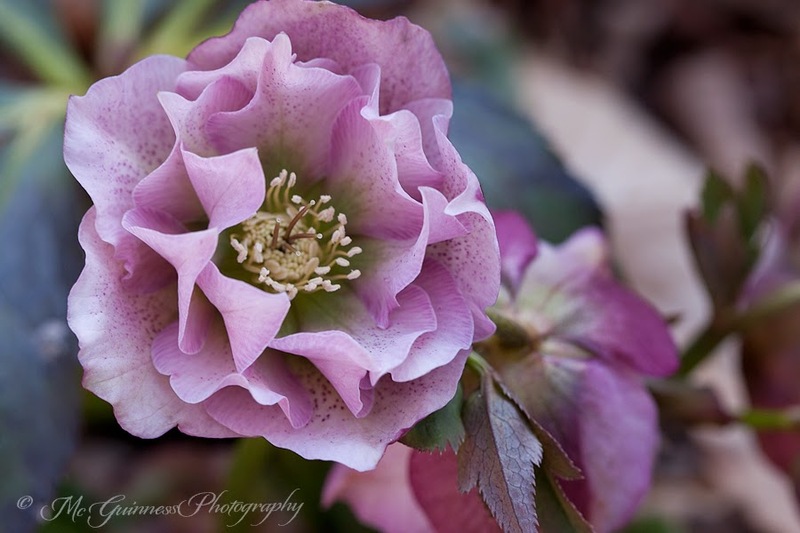 They are also called Christmas or Lenten Roses, since they are one of the earliest spring blooming flowers to appear in the garden. 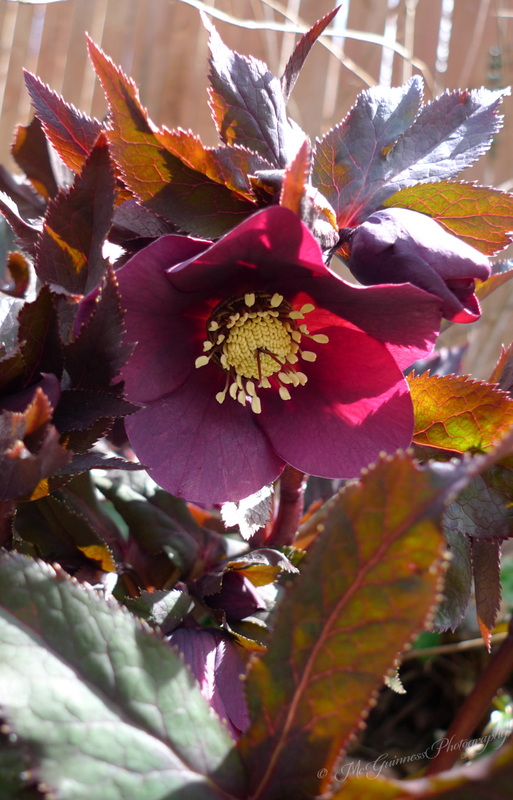 I started out with one hellebore four years ago. The idea of an early blooming flower sounded good to me, so I planted my first one. I planted it in the back of my garden and honestly forgot about it. The first year it didn't bloom since it was establishing itself in the garden. I had even forgotten about it by the next spring and almost missed the flowers entirely. This is because the flowers of the hellebore dangle downward, like little bells. I did a double take and realized there were wine-colored flowers amid the foliage. I was immediately hooked for life. I needed more hellebores, and I needed them to be closer to the house so I could enjoy them from the windows. I grow mine in part shade/part sun, but I've had luck with some hellebores with a bit more sun. They are pretty low maintenance when it comes to watering and care. They seem to enjoy organic matter added to the soil. 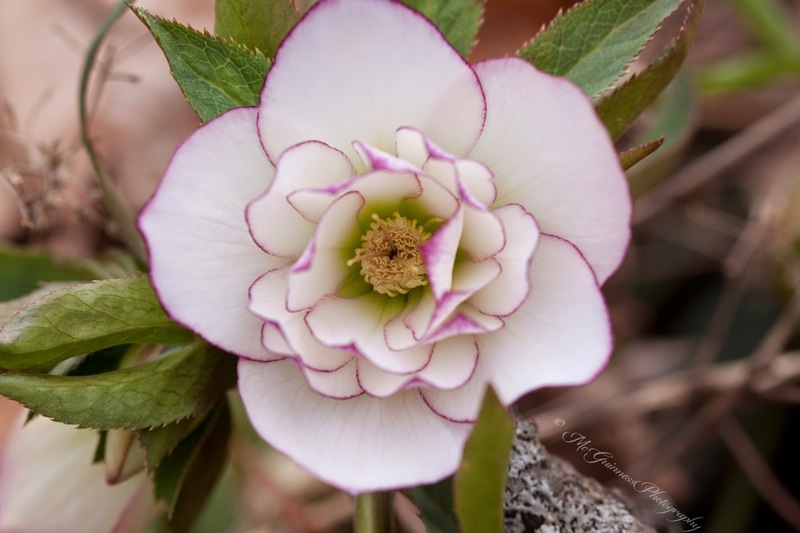 There are so many hybrid hellebores available at garden centers. The top photo, Sparkling Diamond, is an example. 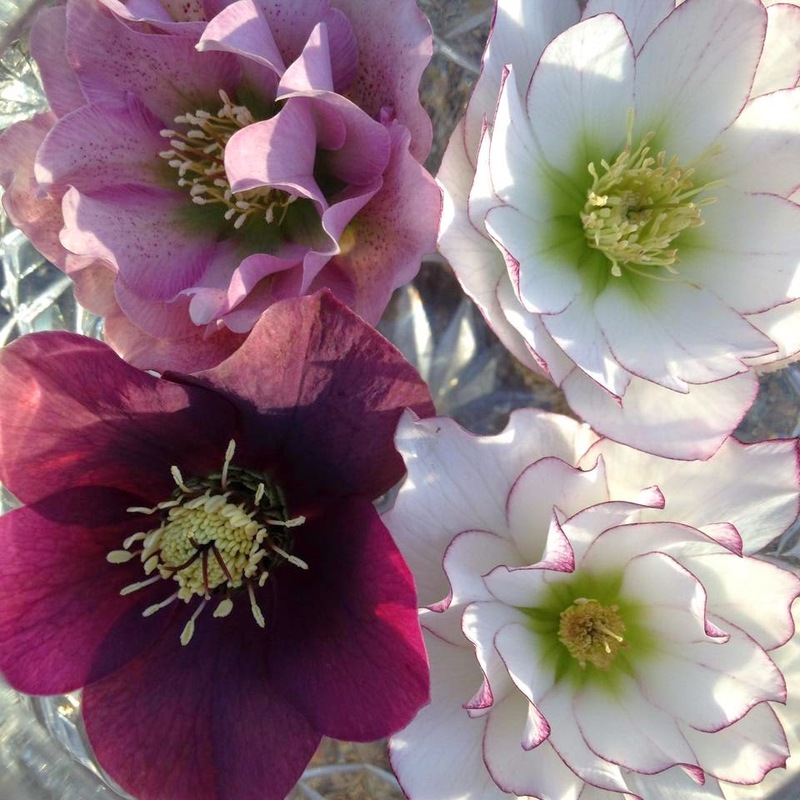 If you have a rose bowl, hellebores are perfect to cut and place inside to float on the water. The leaves of hellebores are evergreen. In the late winter, I cut off the previous year's growth so that the new emerging flower stems will stand out. This year I have a kaleidoscope of colors ranging from the palest whites to pink to wine. 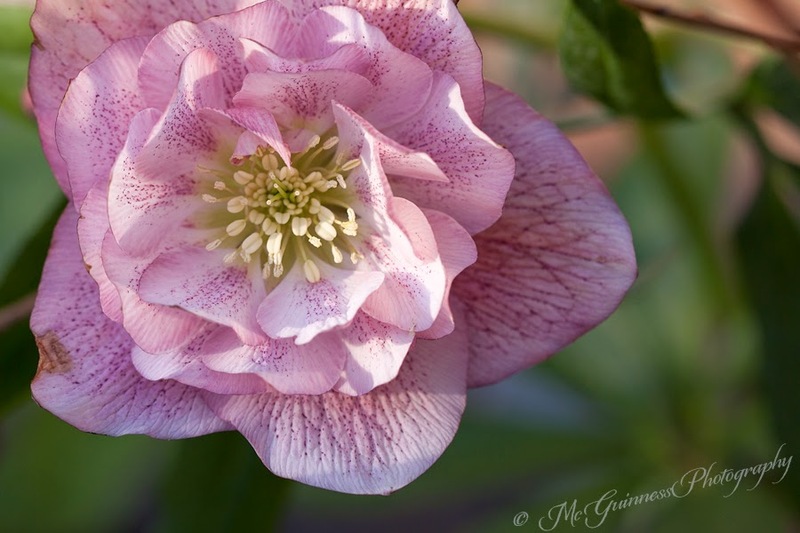 Hellebores are also welcome in my garden because the roots of hellebores are poisonous to voles. In the last year and a half, I have been battling voles in my garden. These little rodents look cute, but use underground tunnels to nibble on roots of plants. Since hellebores deter voles, I've been adding more of them to my garden. I specifically surround plants that have fallen victim to voles in the past with hellebores to help keep them away. So far, it seems to be helping.